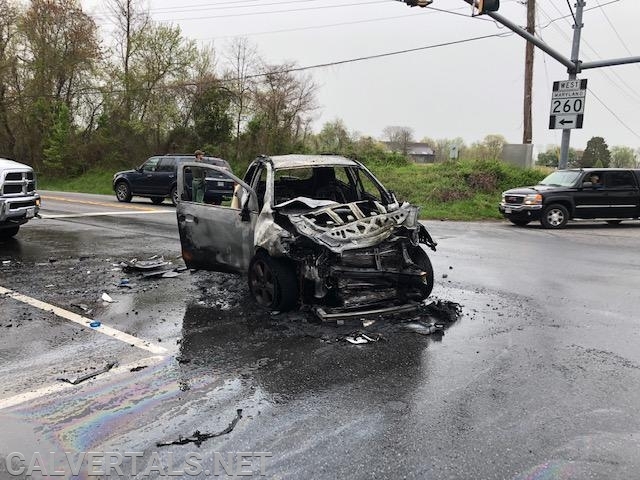 In the early morning hours of 04/14/19 units from Dunkirk VFD, North Beach VFD and the Medic Unit were alerted for a report of an MVC reported with entrapment and fire at the intersection of Rt-260 and Jewell Rd. 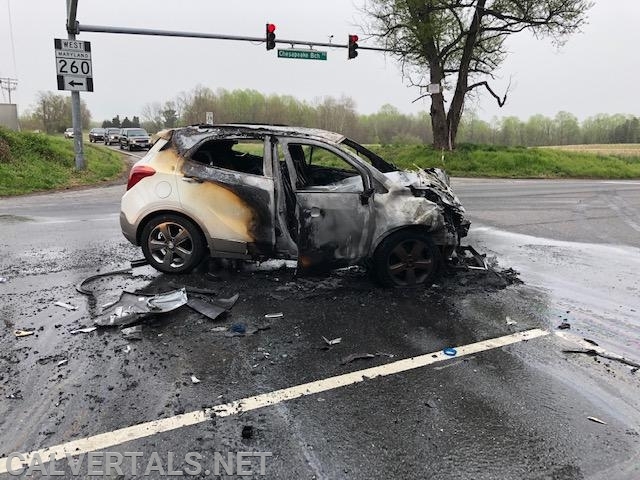 While en route to the call updates were given that car was on fire and bystanders were removing the sole occupant of the vehicle. Dunkirk VFD arrived on scene first and began to extinguish the car fire while ambulance 58 began patient care. M103 ( PMIC R.Devere, Driver S. Jura) arrived and assisted with patient care. Due to inclement weather MSP aviation was down so the patient was ground transported to PG Trauma.